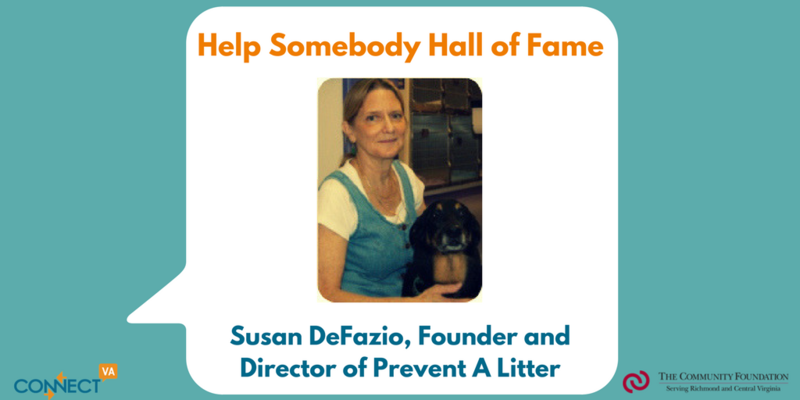 ConnectVA and The Community Foundation are excited to share another shining example of a great person doing great work in our community, through the Help Somebody Hall of Fame – meet, Susan DeFazio, Founder and Director of Prevent A Litter (P.A.L.)! Lauren Early, Manager of Prevent A Litter, reached out to us to share Susan’s story and her humble approach to making a difference in our community for animals. Read more about this nonprofit founder/animal activist! How does Susan demonstrate the spirit of the “Help Somebody Hall of Fame”? Susan has spent most of her life helping those who cannot speak for themselves. Not only is she the Founder and Director of Prevent A Litter Veterinary Hospital, she also takes part in marches, protests and things of that nature to ensure that all animals are treated humanely. She is so dedicated to the well being of all animals the she doesn’t consume anything that has meat or dairy in it, nor does she support any organizations that test on animals. Susan consistently makes contributions to nonprofit animal welfare groups and has rescued hundreds of animals throughout the years with her own nonprofit organization, Care About The Strays (CATS), which was established before she created Prevent A Litter. She is always helping others who need help with their companion animals even buying food or giving flea meds to homeless people and their animals. What’s the impact of Susan’s generosity? 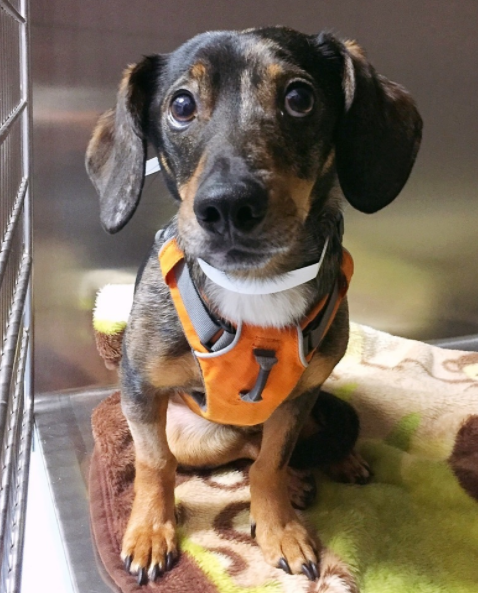 By creating Prevent A Litter Susan has saved millions of animals lives simply by getting them spayed or neutered. 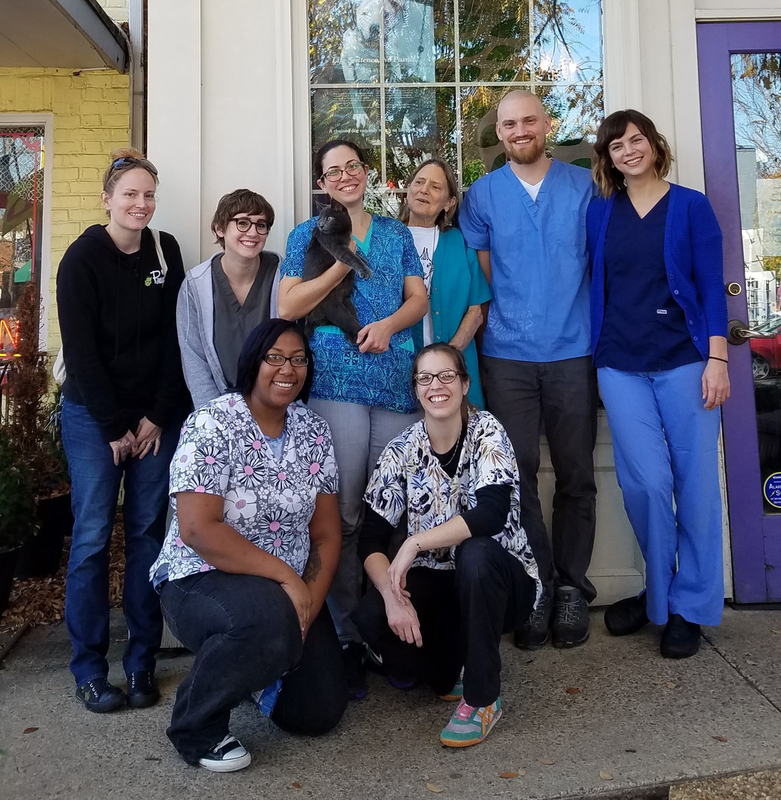 Prevent A Litter was the first low-cost spay/neuter clinic in Virginia and since its inception in 1999, they have fixed over 100,000 cats and dogs. This is all because of Susan’s vision. Every single animal they spay or neuter will no longer contribute to the staggering number of homeless animals that must be euthanized every year simply because they have no home. Without Susan, there would be thousands, if not millions of animals to add to the overpopulation crisis. 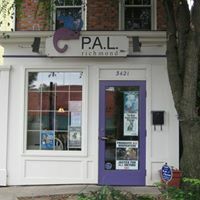 Susan is very modest and rarely takes credit for all the work she does and the positive changes she has made for the animals of Richmond and the entire State of Virginia. So many people don’t even know of the work that Susan has done. She’s proof that even the quiet, “unknown”, activists can make a huge difference in the world without the benefits of constantly being in the spotlight.